Christmas Photography time! I’m making a list and checking it twice……………… I absolutely love Christmas which is why I have decided to run Mini Sessions again!!! These sessions are a wonderful opportunity for you and your family to soak up the Christmas joy and spirit. 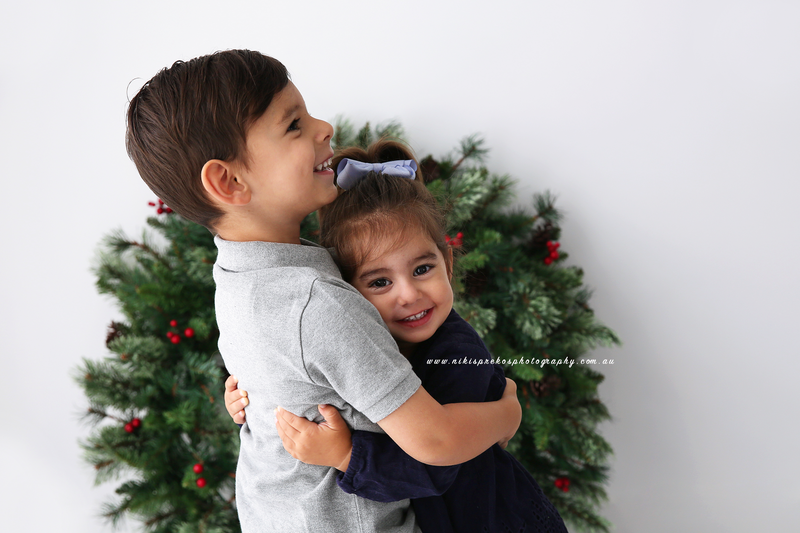 Christmas mini sessions are tailored to children and are simple, fun and quick. A perfect way to capture your children in a festive way and have images for gifts, Christmas cards and messages for your loved ones. Christmas mini sessions run for 20 minutes and at the end you will receive 5 edited digital photographs for $185! For further information please read FAQs below and complete the form below. What is a Christmas mini session? A mini session is a smaller photoshoot with a shorter timeframe. This mini session is specifically themed around Christmas. 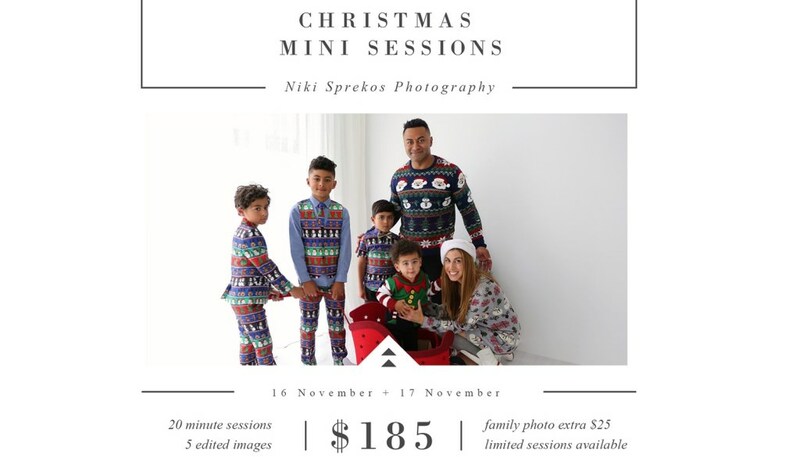 How long does the Christmas mini session go for? The session will go for 15-20 minutes. Please make sure you are on time. These sessions are back to back with minimal time in between the next client. If you are late you will lose some of your session time. These sessions are generally for children only. There is a maximum of four children per mini session. Each additional child costs $25. If you are after a family photograph during this session there is an additional $25 fee. I do request that a family session be limited to immediate family only. If you choose to add additional people to your session, keep in mind that it will mean less overall images….since I will spend more time trying to organise little ones instead of photographing them! I do suggest booking 2 sessions back to back if you want to add extended family into a session to allow more time. Can I have various Christmas set ups? There will be Christmas set up on the day. I do this to ensure my images are kept clean, simple and minimalistic, which is perfect when using these imags for your Christmas Cards! What if I cannot make it on the day? There will be a non-refundable $85 deposit to secure your position and timeslot. How will I receive these images? You will receive a private online gallery of your images within 2 weeks. From there you can select your 5 images for me to edit. These images will then become available for download only. What if my child plays up on the day? Unfortunately due to the nature of the mini session I cannot take responsibility. I will do my best for you to capture fabulous images. If your child is sick on the day you may use your credit towards a future session. Can I buy additional digital files? Yes you can. Further information will be emailed out with your gallery link. Please be advised this is a home studio and it is important your kids understand and respect this. Due to back to back sessions I cannot have children misbehaving in my studio space while a session is going on. It is a huge distraction to me and I will not be able to produce a high quality of image for you. If you wanted a full session with various outfit changes, set ups etc, please refer to my full price list for a family session. 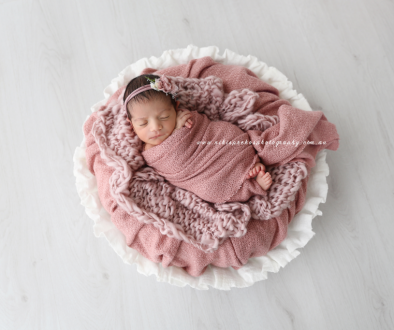 Mini sessions are not available to newborns due to the fast past nature of the session. Price is for selected dates & times only. $85 non-refundable deposit is due at booking to secure your day & time. Balance is due on the date of your session. Failure to show means you loose your time, day & deposit. If your child is unwell please do not bring them. Contact me to try and reschedule. If you would like to make a booking, please complete the form below or email me separately to mail@nikisprekosphotography.com.au. Once I get your preference in date and time I will confirm your session via email. Please note it will be first in best dressed booking session. Baby Photographer Melbourne | Charlotte | Niki Sprekos Photography	Best Newborn Photographer they say!